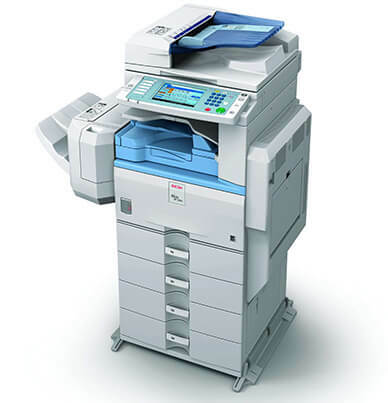 Ricoh introduced the award-winning Ricoh AFICIO MP C5000 in 2008. 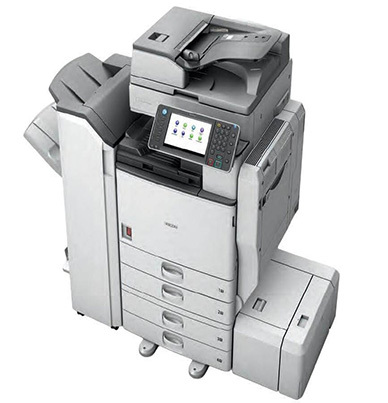 Buyers Laboratory gave it the “Outstanding Achievement” award in 2010. 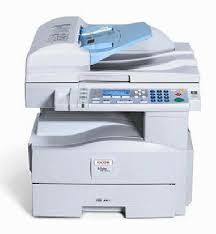 Not one misfeed occurred during the 40,000 impression test performed by BLI. 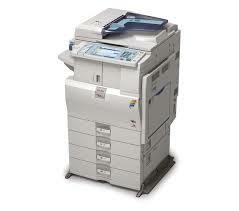 It rapidly outputs documents at a rate of 50 pages-per-minute in both black and white and brilliant color. 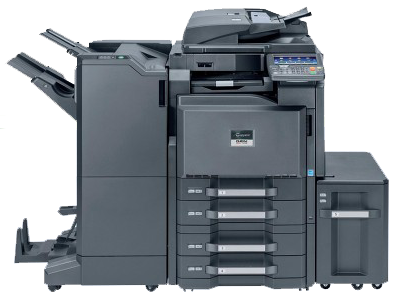 When the toner on the Ricoh AFICIO MP C5000 was tested it exceeded the projected yield of 23,000 pages in black (841284) and 17,000 pages in cyan (841287), magenta (841454), and yellow (841453) when averaging 5 percent coverage. 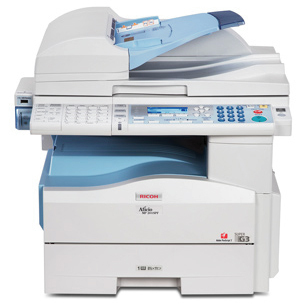 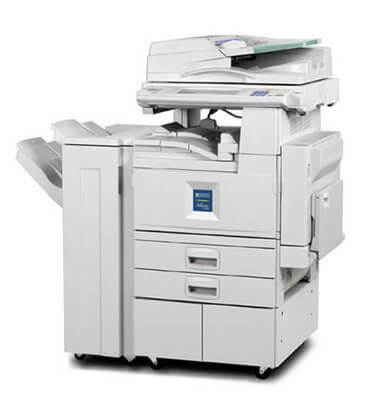 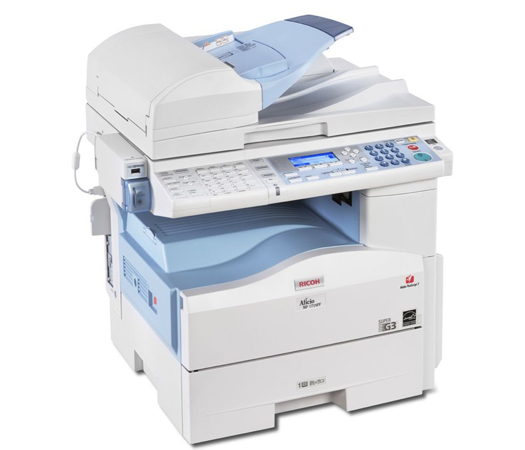 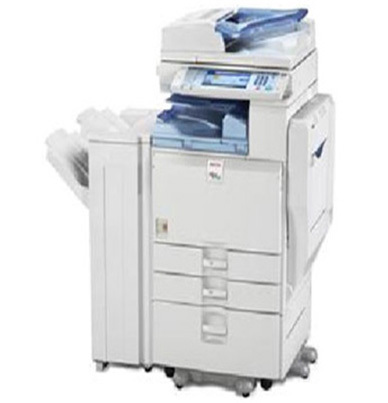 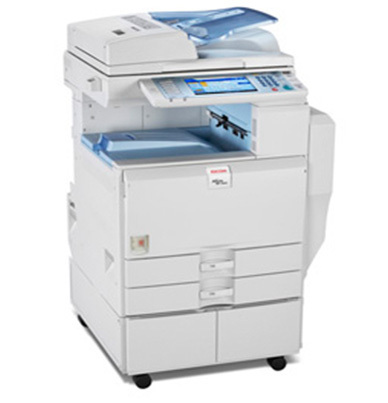 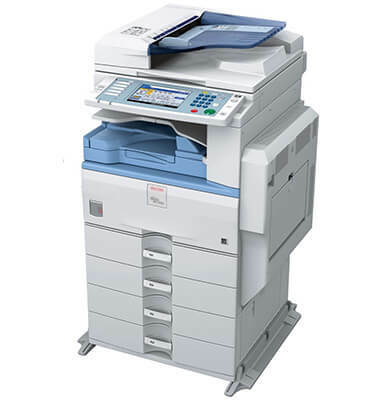 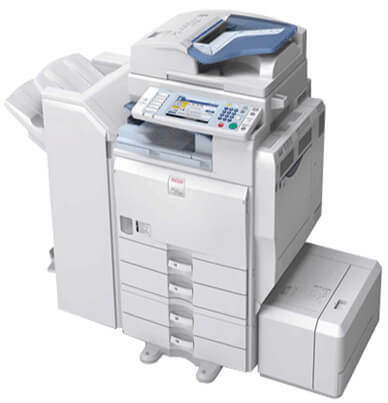 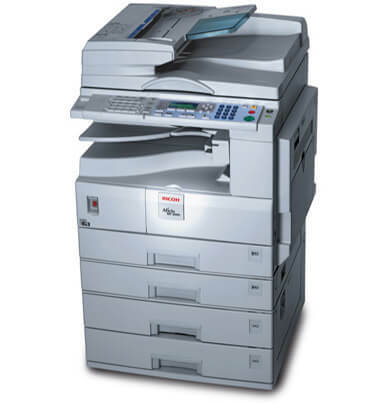 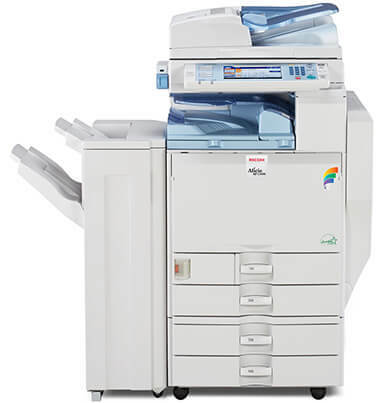 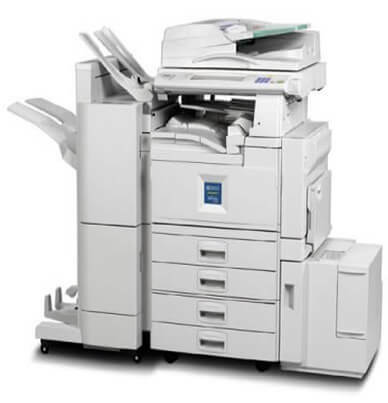 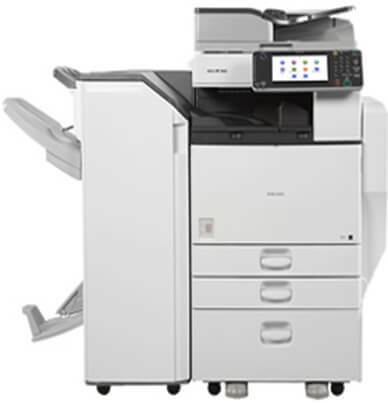 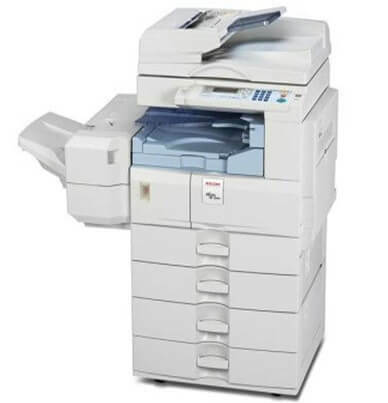 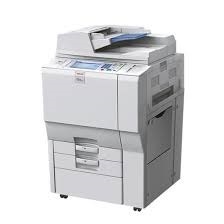 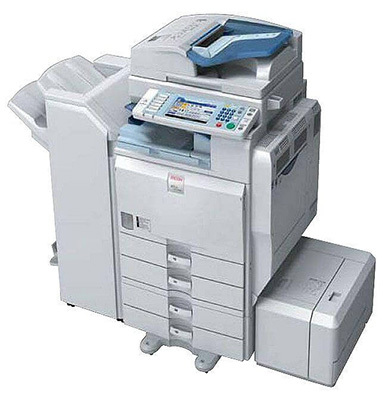 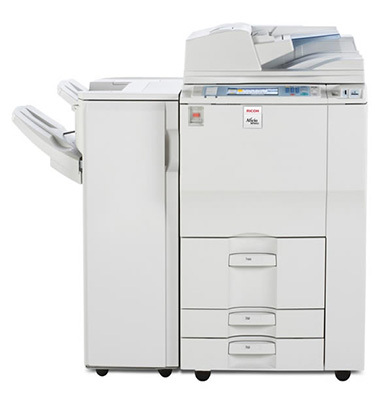 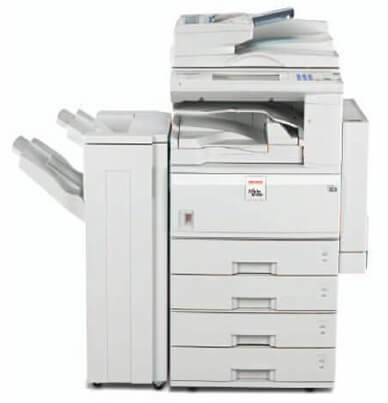 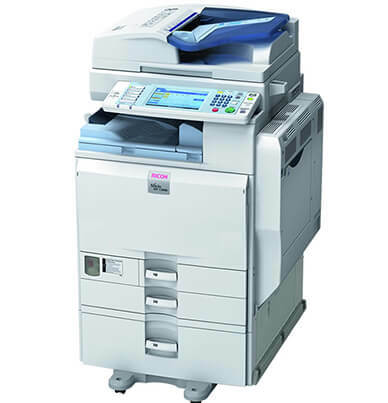 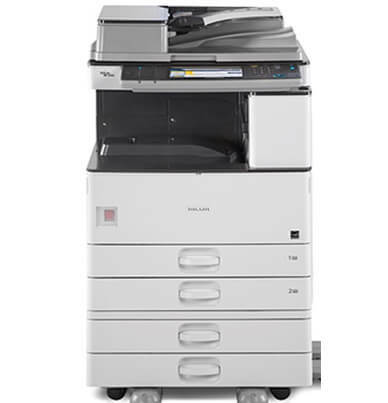 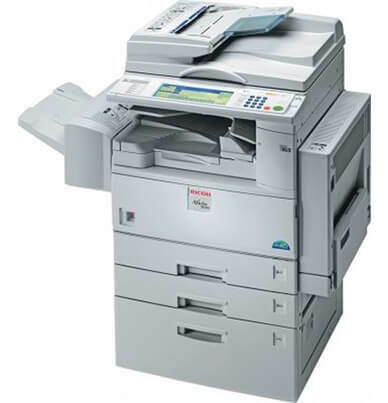 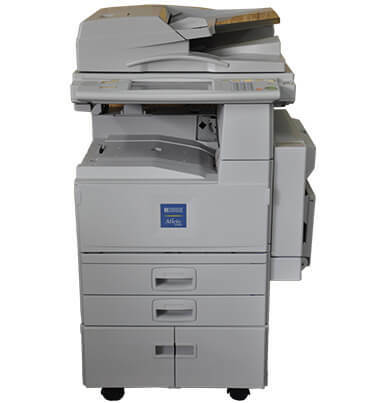 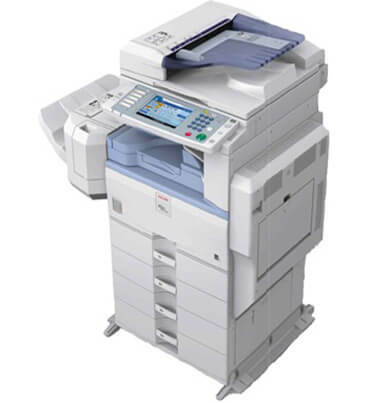 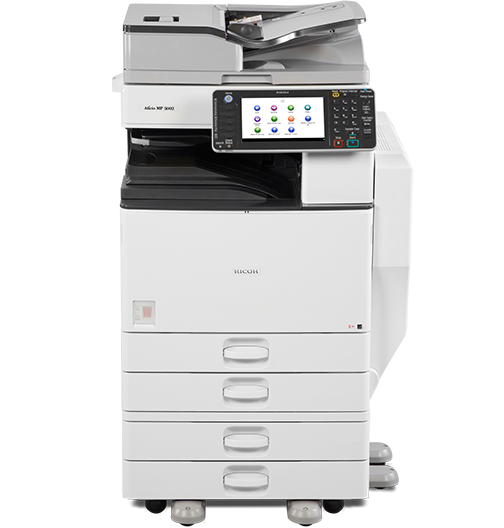 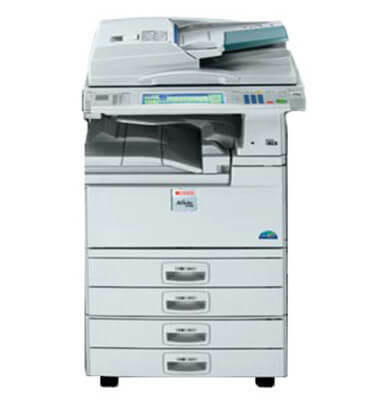 Standard functions include copying, printing, and scanning for in-house productivity that is efficient and fast. 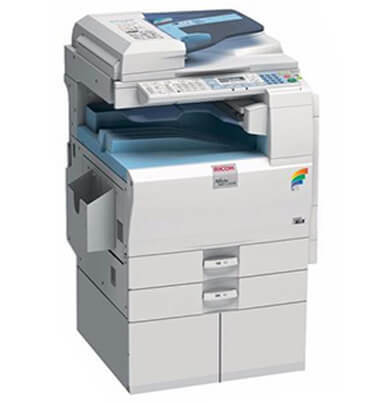 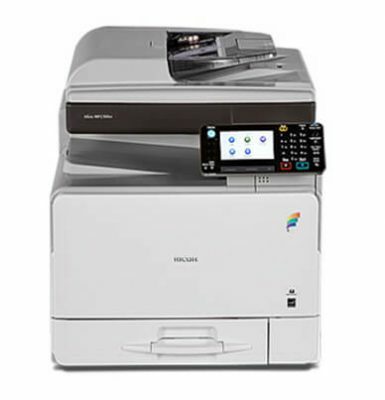 Ethernet connectivity comes with the Ricoh AFICIO MP C5000 or you can choose the optional wireless connection. 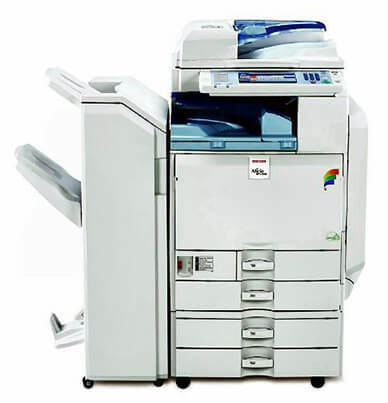 Scanning can be done directly from media cards and USB flash drives then distributed easily using the control panel. 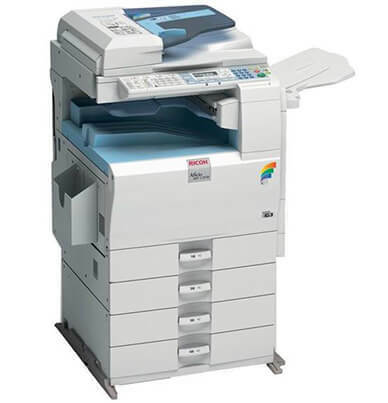 Complex projects can easily be processed using the Ricoh AFICIO MP C5000 with the 1 GB RAM memory and 160 GB hard disk drive. 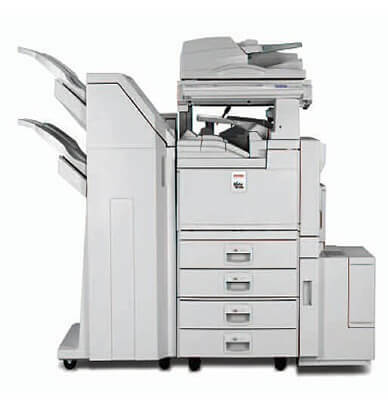 Paper handling starts with two 550-sheet drawers and 100-sheet bypass tray. 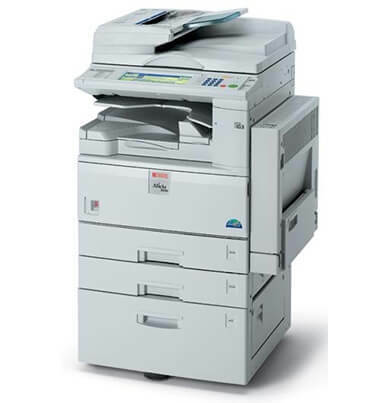 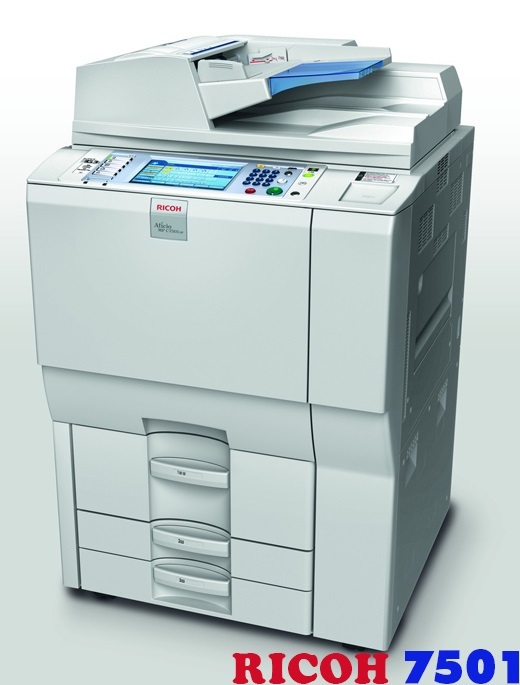 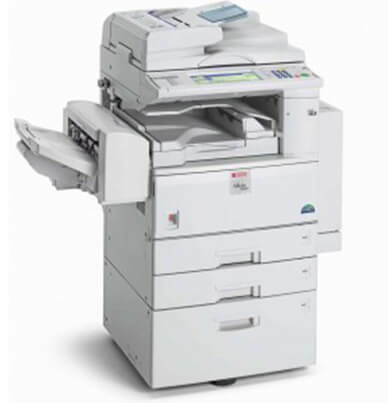 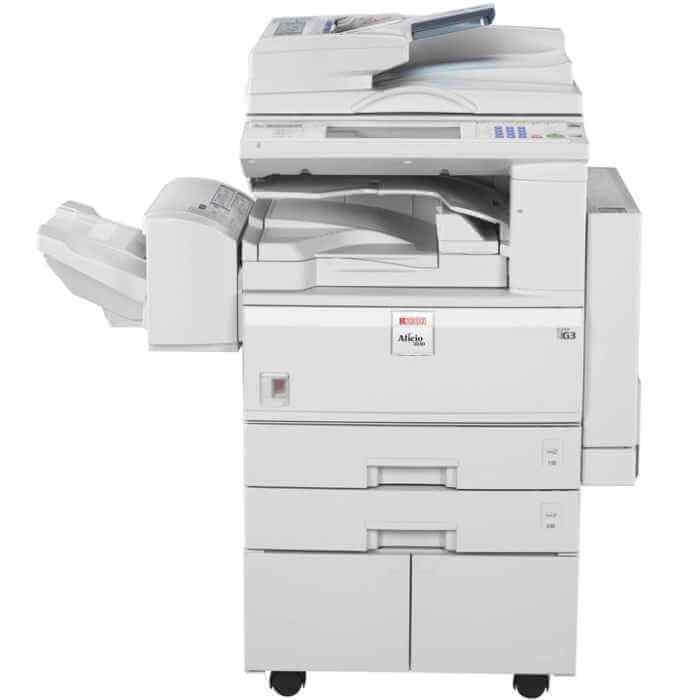 Optional paper sources are available for the Ricoh AFICIO MP C5000 to reach the 4,400-sheet maximum. 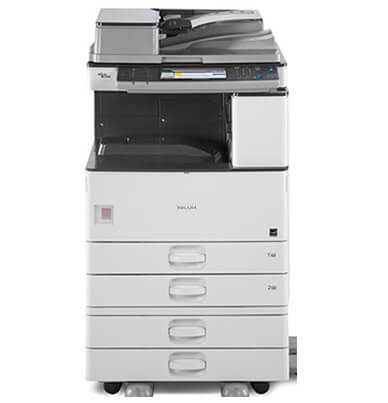 The bypass tray is ideal for specialty papers, like letterhead and envelopes, enabling you to complete a job using different paper and not have to unload the paper tray.